Prayer is a language that each of us speaks and hears in a different way. When we pray together, we try to find meaning within the chorus of diverse voices. With their engaging sermons and stimulating teachings, our Student Rabbis show us how the lessons from the past are relevant to our lives today. 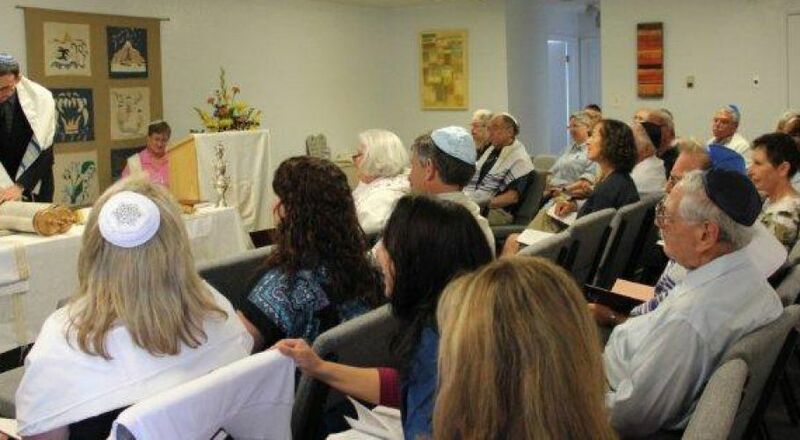 We conduct Shabbat Services on an every other week schedule. When our Student Rabbi is visiting, we have Shabbat morning services with our Hebrew School Students. Our services are fully egalitarian (men and women participate equally). We believe we have found a healthy balance between the traditional and the creative. Services are a mix of Hebrew and English. We use both traditional and contemporary melodies. People who attend vary from those with Orthodox backgrounds to Jewish by choice.